Pound cakes are so popular I decided to welcome the changing season (early September 22, 2012 the Fall season begins) with a blood orange white chocolate pound cake. As many of you already know DF enjoys pound cake; Sydney and I were lucky to be able to photograph this cake before he cut himself a piece. He reminded me of a young boy waiting for the release of a new version of a video game. 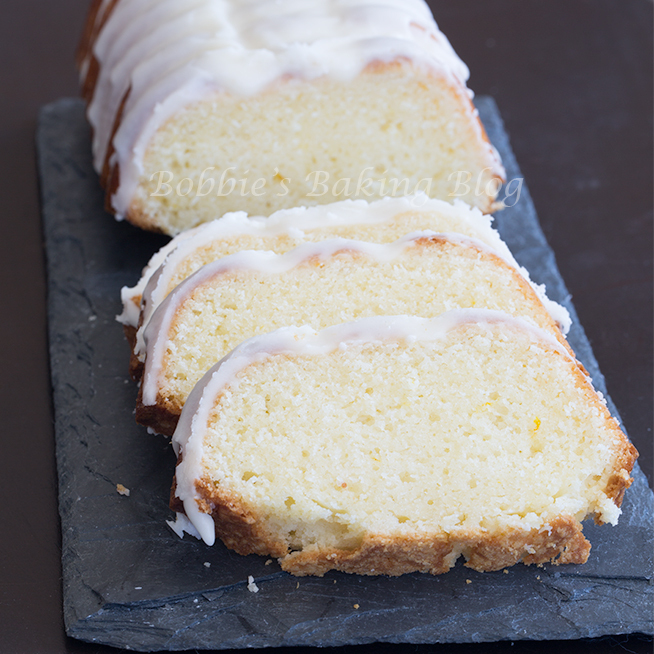 Sydney was having a hard time styling the pound cake, she was so distracted by DF’s behavior, she began to tease him. Finally I had to explain to my husband the longer he pouted around the photo shoot, the longer it would be before he could have a piece. Once Sydney gave him one of the slices he announced the piece was too SMALL. A debate over the serving size ensued, and he claimed the slice was too small to enjoy the cake. I figured if he was going to behave as a child I would treat him as one, and removed his slice of blood orange white chocolate pound cake. I think twenty seconds past by and he agreed the slice was fine. 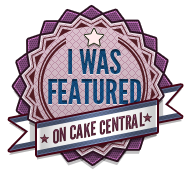 The entire event was in good fun and DF throughly savored his piece, he also announced blood orange white chocolate pound cake has become his favorite pound cake, (Every new pound cake we bake for him becomes his new favorite)! The slices look like a pretty decent size to Sydney and myself! Butter and flour a loaf pan. 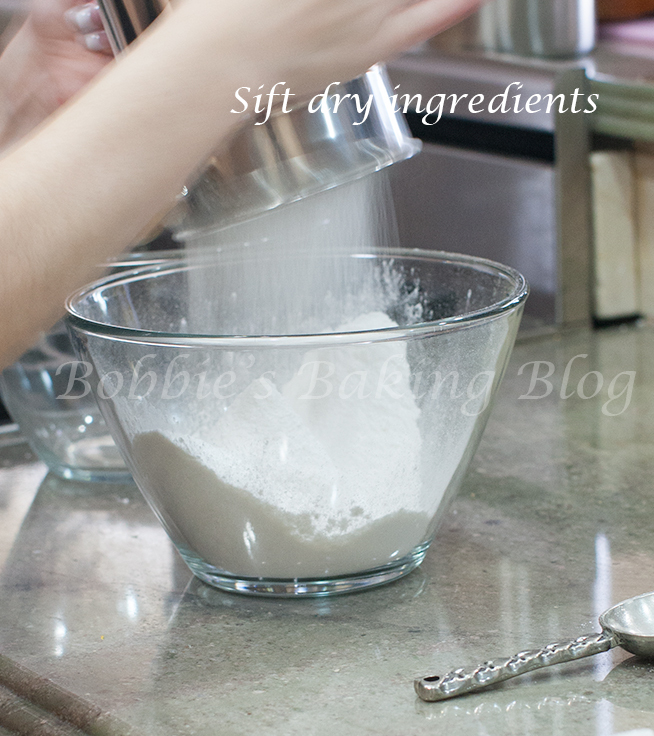 Sift together, 3 times, cake flour, cake salt, and baking powder. Set aside. 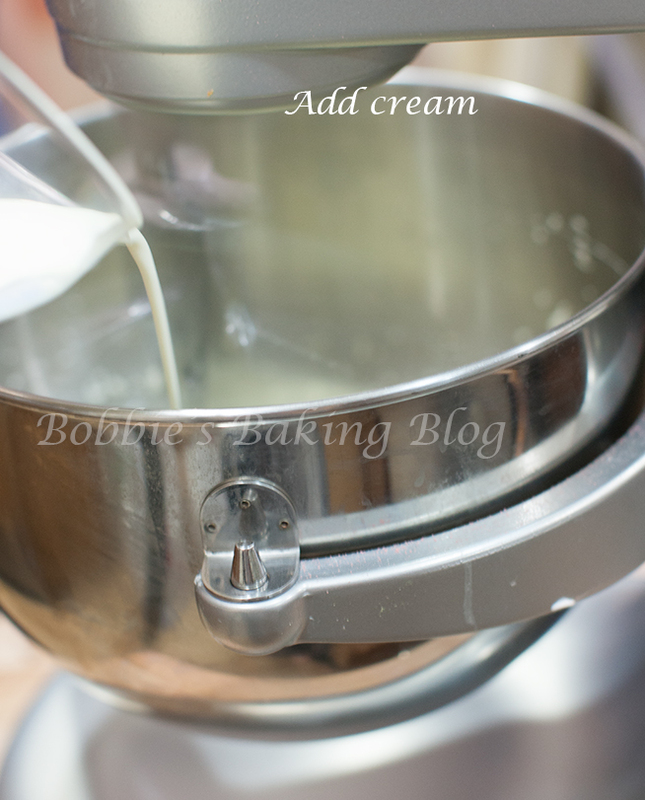 In a standing mixer with fitted paddle attachment, beat butter and sugar on medium speed until blended, about 4 minutes. Add blood orange zest and continue to beat for an additional minute. 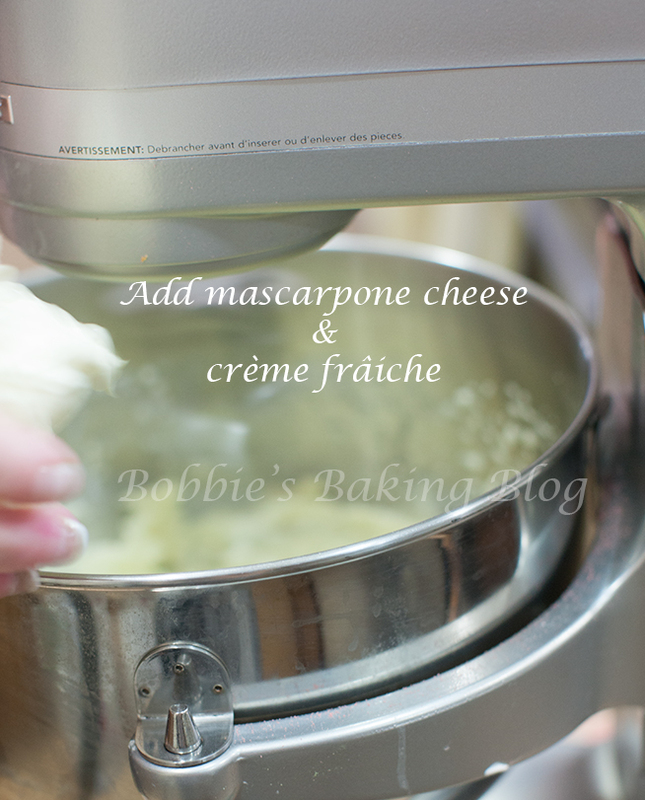 Add the cream, crème frâiche, and mascarpone, continue to beat on medium speed until amalgamated. 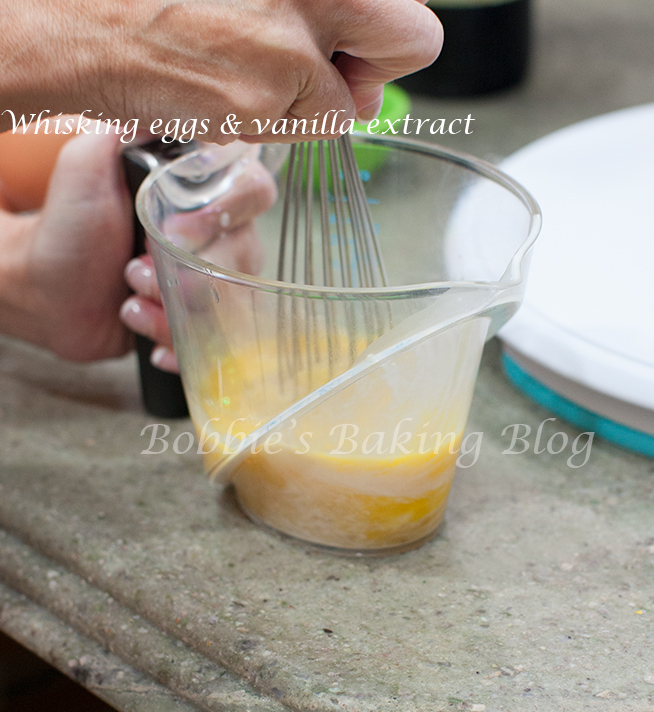 In a measuring jug whisk the eggs and vanilla extract. 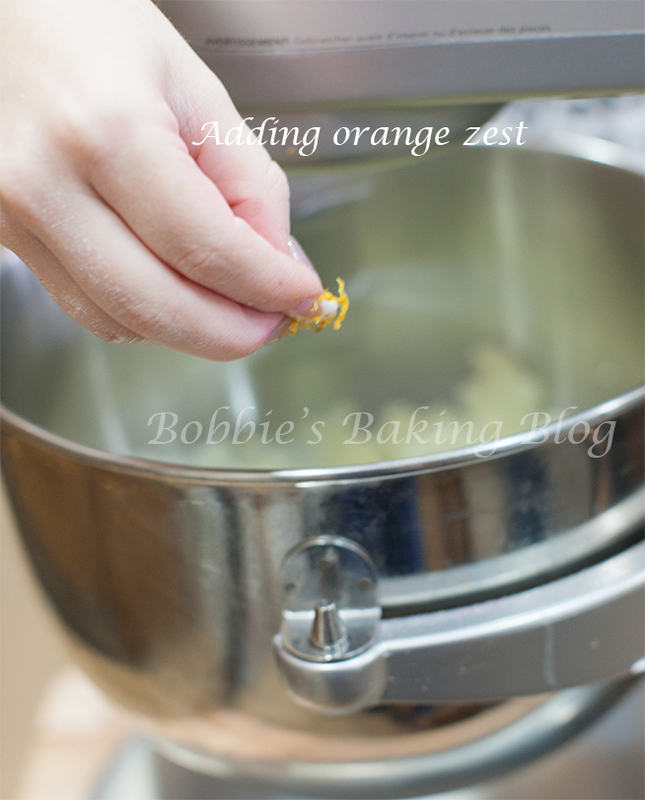 With your standing mixer on low speed begin with your sifted dry ingredients add only half of the dry ingredients, alternating with the egg mixture, beginning and ending with the cake flour, mix until incorporated. Make sure to scrape the sides of the mixing bowl and paddle attachment with a rubber spatula after each addition. 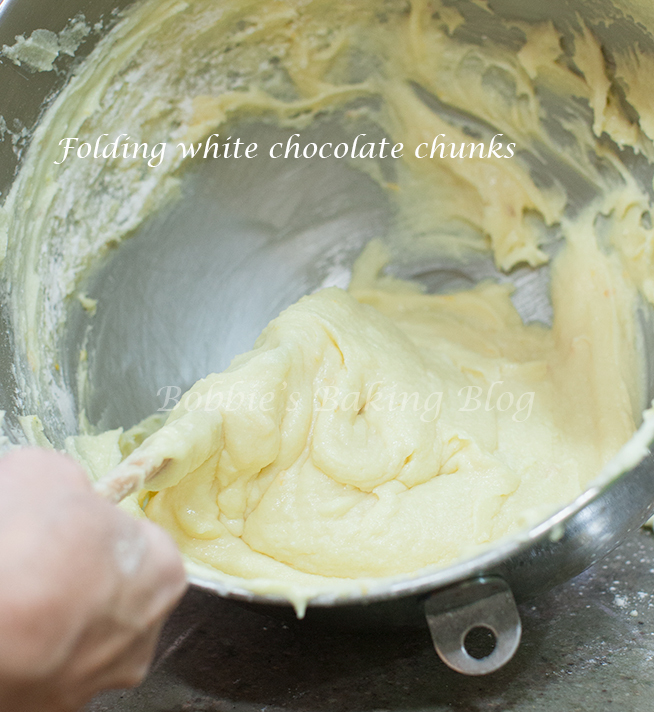 Remove the bowl from the standing mixer, fold the white chocolate chunks, dusted and tossed with a handful of flour, into the cake batter. Brush a line with melted butter in the center of the raw cake. Bake for about 55- 60 minutes, until the top of the cake is golden brown, springs back when pressed lightly in the center, or a tester, inserted in the center of the cake comes out clean. Remove the cake, by inverting it from the pan and cool onto the rack. Allow to cool completely before adding the icing. When the cake is completely cooled coat with the Godiva Icing. When I first began this Catering business and blog it was to bond with Sydney, but to my delight it has become a family affair! 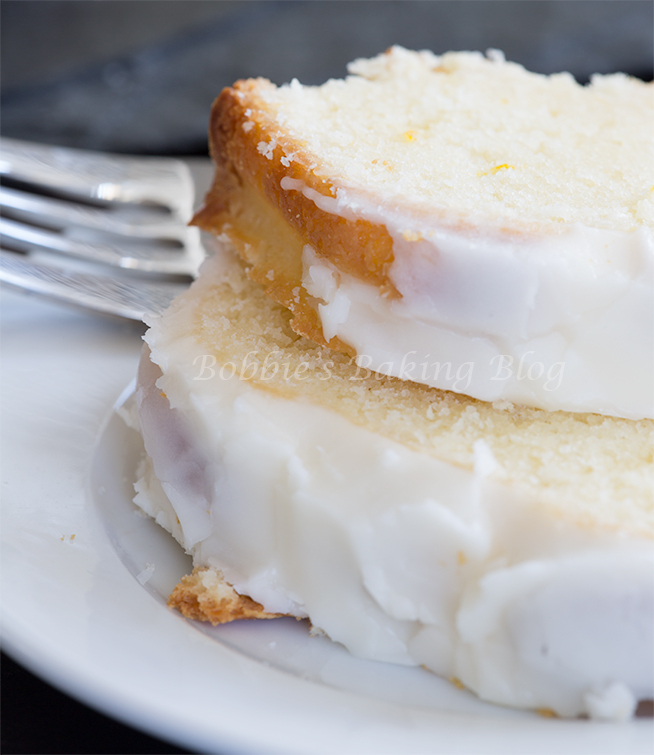 I hope you enjoy the Blood Orange White Chocolate Chunk Cake with your family members!! I’m hungry right now and this doesn’t help. Looks so Yummy!! Love your blog. I wish I could offer you a slice. Thank you for your sweet comment! This looks so wonderful….I can almost taste it…I want to try to make this it looks so great! What is Cake essence? Debbie, cake essence is completely optional. I will send you the link for the product, but I have baked with & without the essence; the taste is exactly the same. looks very appetizing. I love with mascarpone, I will do it! I’m French so forgive me if I do not understand your recipe. Can you help me please? Does the amount of cake enchanter is “12 grams + 1 1/2 Tablespoons cake essence, optional” or “12 grams = 1 1/2 Tablespoons cake essence, optional”? You write “Add the cream, sour cream, and mascarpone” but what is the amount of cream? The amounts are given in grams and common measurement, yes the 187 grams equals 1 1/2 cup, plus 2 Tablespoons. Thank you very much for your answers Bobbie precise and so fast, it’s very nice. If I have time tomorrow, I’ll try your recipe. And I will publish it on my blog by putting a link to yours. I weighed 1 1/2 cup plus 2 Tablespoons flour and gram, it is more than 220 g. So I think you made ​​a small mistake. Elodie, What type of flour are you using T-45; it might be why the measurement is off. Cake flour has a different weight than all-purpose flour. I believe in France the flour is t-45. T-55. If you can tell the type of flour I will convert it for you. By the way there is a wonderful device that converts, substitutes, does volume, etc. http://www.facebook.com/pages/Culinary-Calculator/160865955864?fref=ts. The apple store sells it for .99cents to 1.99. You are very nice to take the time to answer me, Thank you very much. 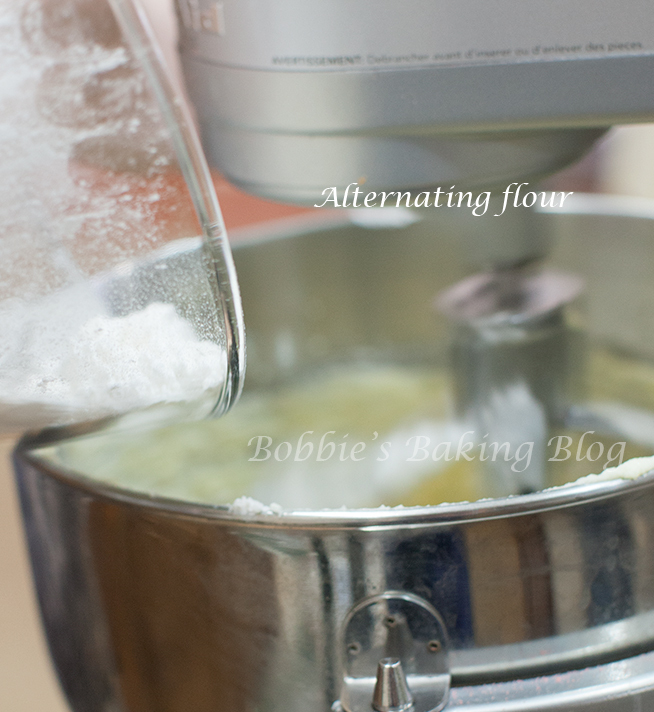 I use flour T55 and I also, if necessary, of cake flour. The weight difference between flour and flour T45 T55 is almost zero. I do not think the problem comes from there. What flour did you use for this cake? Pretty portion of content. I just stumbled upon your web site and in accession capital to say that I acquire in fact loved account your weblog posts. Any way I’ll be subscribing in your feeds and even I success you get admission to consistently quickly. Just found this on Pinterest and it looks wonderful! I see Creme de fraishe in the instructions, but I don’t see it in the ingredients section. How much would I need (in cups)? Thanks! Karen, I must apologize for the inconvenience: 50 grams/ 1/4-cup. What temperature do you bake it at?? I love this cake. But I have a bit of a problem, omn my first attempt, I baked at 325 for 60 minutes, took it out and inverted the cake and wet batter r,Olmec out. I raised heat to 350 and baked 25 more minutes. We all loved it. Today, after get thermostat for oven, I again baked at 325 for 60. This time I checked with knife, still very wet. Any ideas? Thank you so much. The taste is divine. Oh, I could not find blood oranges in St Louis, even at Whoke Foods, so I just used a navel! Deborah, Every oven is different; if raising the time & temperature worked bake the cake at 350 degrees for the extra time. I would check the cake about every 5 minutes after 65 minutes. This looks delicious and I am planning on making it for Thanksgiving! When you say “Brush a line with melted butter in the center of the raw cake” I am not quite sure I understand. Does this just mean drizzle it over top the center of teh batter? Alex, what a wonderful compliment! Once you have poured the batter into your loaf pan, with a butter knife draw a 1/8-deep line down the center and then pour the melted butter. Hello! seems like a lovley cake, just one question. What cakepan size did you use? What is creme de fraise? Can I substitute sour cream for it? Crème frâiche is a heavy cream thickened and slightly soured with buttermilk. You can omit it and just use mascarpone cheese or you can substitute for the exact amount of sour cream. 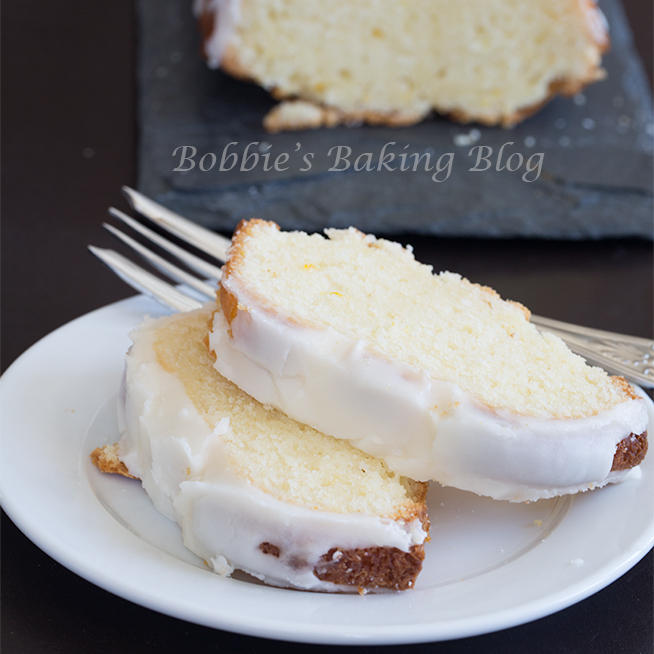 “Blood Orange and White Chocolate Chunk Pound Cake” was indeed a good article. If only there were more blogs just like this particular one on the online world. Fanny, Thank you for kind words! Your site is lovely, and this looks delicious and so light. Going on to my to do list. Lia, thank you it always is nice to hear sweet compliments! I have a few questions about this recipe. 1. You mentioned creme fraiche in the directions but do not list it in the ingredient’s list. 2. When is the salt incorporated into the batter. 3. Brush a line with melted butter in the center of raw cake. Do I brush it with a pastry brush. 4. How do you measure a 7/8 cup measurement. 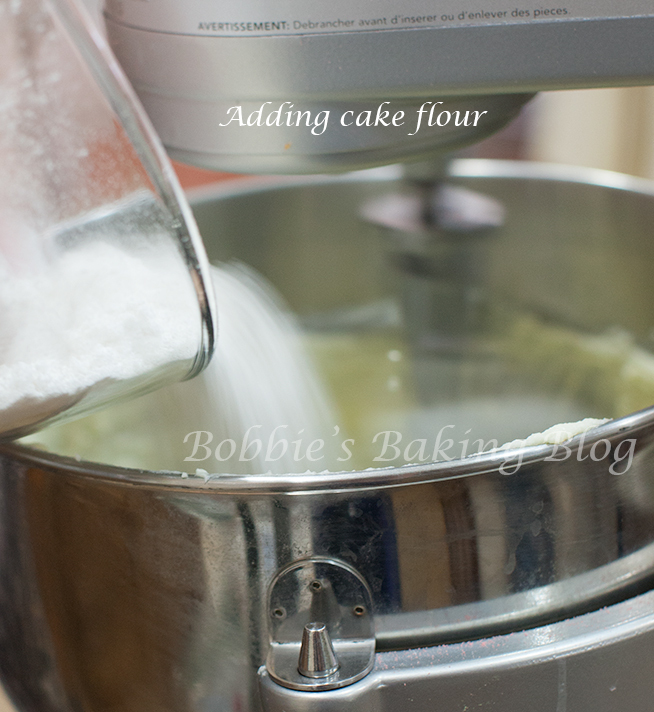 Jackie,he cake enhancer & salt are sifted with the flour. 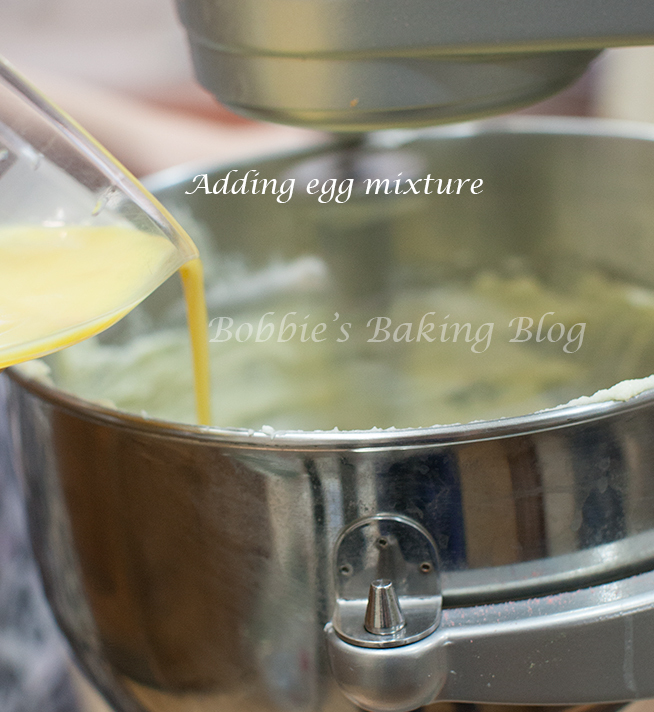 The enhancer is optional, it adds a silky texture to the batter. Pour the batter for blood orange pound cake into the pound cake pan. 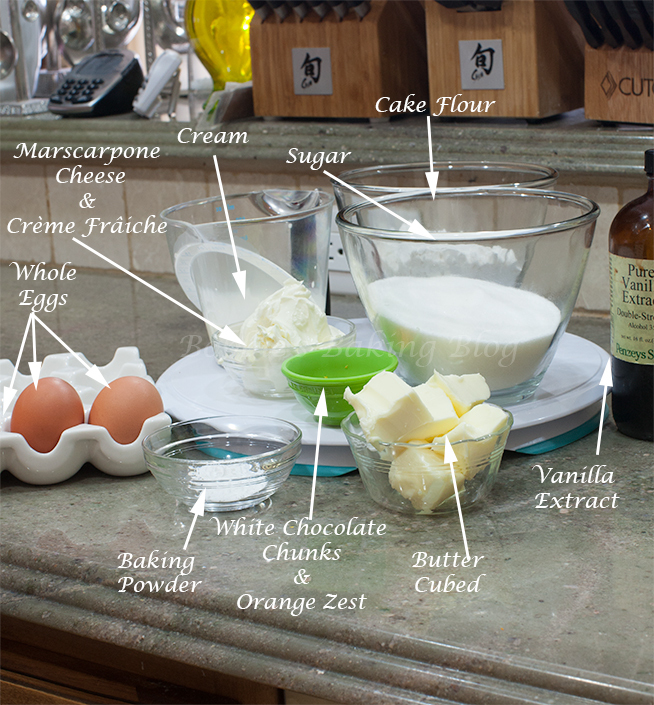 Jackie, You can add 1/4-cup(58 grams) of both ingredients or substitute crème frâiche for mascarpone. Where do you get the Godiva Icing??? The icing is created with Godiva white liqueur; the liqueur can be found at most liqueur stores.